On the final Sunday in January, Gov. Bobby Jindal digressed during a speech about the future of the Republican Party to extol his sweeping tax plan for Louisiana. Before a conservative gathering at a Washington, D.C., hotel, Jindal highlighted his ambition to eliminate state income and corporate taxes and replace them with a higher state sales tax. 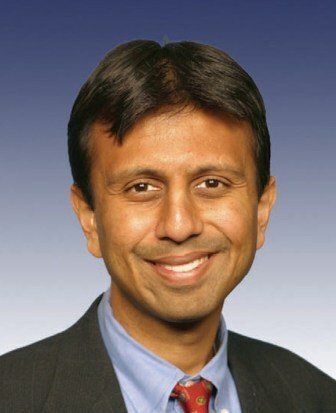 “Think how much better we could do if we didn’t have income taxes on companies and families,” Jindal said. Curiously enough, Jindal has yet to outline his plan in a public setting in Louisiana, such as a Rotary Club or chamber of commerce meeting. Until Thursday afternoon, he hadn’t answered any Louisiana reporter’s questions about it. Jindal briefly answered reporters’ questions about his tax plan following a photo-op at the Governor’s Mansion on Thursday. The unscheduled session came several hours after The Lens asked his press staff why the governor hadn’t discussed it with reporters in Louisiana. That was “his first availability to State Capitol reporters in about four months,” according to The Advocate. Instead, the governor is pitching it in private meetings with state legislators. The governor’s desire for secrecy led to an extraordinary confrontation with one lawmaker who refused to return a two-page outline of the governor’s plan that had been distributed at their meeting last week. With his poll numbers down sharply and approval of the plan contingent on his lining up a two-thirds legislative majority, Jindal has also met with an undisclosed group of donors and asked them to finance a $750,000 media blitz before the legislative session begins on April 8. Jindal has left it to Tim Barfield, the Department of Revenue’s executive counsel, and Stephen Moret, secretary of Louisiana Economic Development, to describe his vision before select public gatherings. Barfield and Moret are also meeting with leaders of business groups, non-profit groups and local elected officials. Why is the governor taking such a low profile? To be sure, Jindal has frequently shown a preference for operating outside of public scrutiny, even though he took office promising to be the most transparent governor in Louisiana history. He keeps his office’s activities as hidden from public view as possible and won’t explain who pays for his frequent travels outside of Louisiana. But a major reason for Jindal’s under-the-radar approach to the tax plan is his uncertainty over how he would replace the $3 billion lost per year by eliminating personal income and corporate taxes, political insiders say. Officials who have met with Barfield, Moret or Jindal say the governor is far from figuring out the magic mix of sales taxes and other revenue streams that will produce enough votes to offset the $3 billion that disappears if personal and corporate income taxes are axed. Scott is one of those who have been consulted by the administration in recent weeks. “They’re talking to a lot of people,” he said. But many worry that the public and lawmakers will not have enough information to evaluate the full plan when Jindal finally unveils it. Jindal disclosed the gist of his thinking on taxes earlier than planned. He put out a written statement on Jan. 10, after the Monroe News-Star reported that he revealed it to several legislative leaders at the Governor’s Mansion the day before. What the public knows of the governor’s views since then has come only from others. But through his aides, comments by legislators and the leak of a secret document, the broad parameters of Jindal’s plan have taken shape. To offset the $3 billion in lost revenue, he wants to raise sales taxes by 1.7 to 3 cents, eliminate sales tax exemptions on some transactions, and begin taxing some activities that are now untaxed. Jindal also is eyeing a $1.05 increase in the state’s 36-cents-per-pack tax on cigarettes. The $1.41 rate would match the Texas tobacco tax. Jindal privately and his aides publicly have said they want to model Louisiana’s tax system after those in Texas and Florida, which don’t have income taxes. But Texas and Florida have business taxes and have much higher local property taxes than does Louisiana, awkward realities that Jindal and his aides have not mentioned. Anywhere he turns to offset the $3 billion, Jindal faces political obstacles. If the Legislature raises sales taxes by as little as 1.7 cents, Louisiana would have the nation’s highest sales tax rate. If he attempts to end exemptions, he will prompt fights from interest groups that want to keep them. If he attempts to broaden the sales tax base, he will provoke fights from interest groups that want to remain untaxed. The Center for Budget Policies and Priorities became the latest group on Wednesday to highlight another problem: Jindal’s plan would shift taxes from the wealthy to middle-class and low-income taxpayers. Earlier, Citizens for Tax Justice, another Washington, D.C.-based liberal group, reported that the poor in Louisiana already pay a higher percentage of their income in state taxes than do the wealthy. Last year, when Jindal wanted to expand the state’s private school voucher program and weaken teacher tenure laws, he unveiled his plan in a speech before the Louisiana Association of Business and Industry. This year, he had Barfield discuss his tax plan. The governor’s office has yet to indicate when Jindal will begin to engage the public directly. A request for comment to the governor’s office went unanswered. LaPolitics Weekly, published by long-time political reporter John Maginnis, reported in a Feb. 8 email to subscribers that Jindal met with a group of big contributors at a Baton Rouge restaurant to finance the media campaign to sell his tax plan. Timmy Teepell, the governor’s chief political strategist, confirmed in response to inquiries by The Lens that the governor’s outside political group, Believe in Louisiana, is seeking to raise and spend about $750,000 on TV and digital ads. “While the details of the Tax Reform package are being worked out between legislators and the Governor’s office, Believe in Louisiana will be spending some time and resources sharing with people the value eliminating the income tax will have in terms of growing our economy and creating jobs,” Teepell wrote. Jones and state Rep. John Bel Edwards, D-Amite, refused to turn over their copies because they took notes on the document. Jindal demanded that they hand them over. The two men continued to refuse. The issue was resolved and the privacy of the annotated sheet preserved when Jindal led Jones and Edwards to a shredder in the mansion. This story was updated to reflect that Jindal answered reporters’ questions about his plan Thursday afternoon. Louisiana legislators had more pressing concerns.